A common question we hear a lot at Brilliant Directories is: “Can I create a mobile app from my website?” The answer is YES. You can easily turn your website into a downloadable mobile application. Mobile apps help you connect with more people through their smart phone and tablet devices. Because every website built on the Brilliant Directories platform is already 100% mobile-friendly, turning it in to a mobile application just takes a few moments. 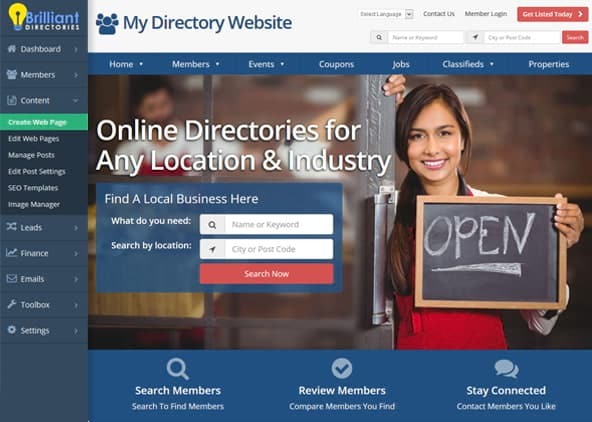 You can follow the steps in the video below to turn your Brilliant Directories website into a downloadable mobile app in Apple’s App Store or the Google Android Play Store. The video above shows you how to create your own mobile app in less than 5 minutes using third-party app building platforms. 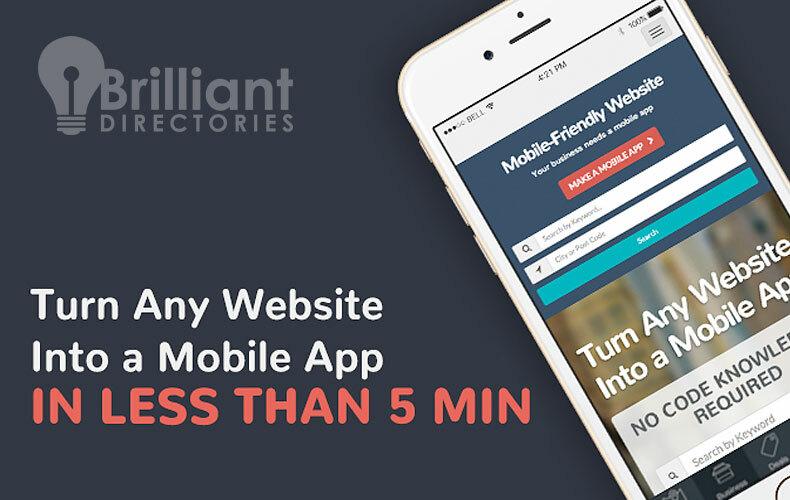 Your website users will have the same familiar experience on the mobile app as they do on your main Brilliant Directories website. All in all, starting with a mobile-friendly website will save you time, make the entire app building process incredibly easy, and 99% of the heavy lifting is already taken care of for you, you just need to add your special 1% touch within the app builder. We Know Membership Sites — We've taken care of all the heavy lifting so you can focus on growing your membership community and getting users signed up. Access to Expert Support — We know you have questions... Our dedicated support team works 'round the clock to quickly resolve any technical issues. Do You Run a Membership Site? Join our exclusive Facebook group – FREE – to access proven strategies for growing your membership community. Space is limited, so join today!